I just noticed that Volcano did another big price drop on The Standard 100. The 100mL bottles are now on clearance for only $6.99 each! Please note that this price only applies to the following flavors: Blue100 and Pink100. The Yellow100 flavor is also available…but it costs $28 MORE! No, thank you =) I guess it just goes to show how good this deal is. 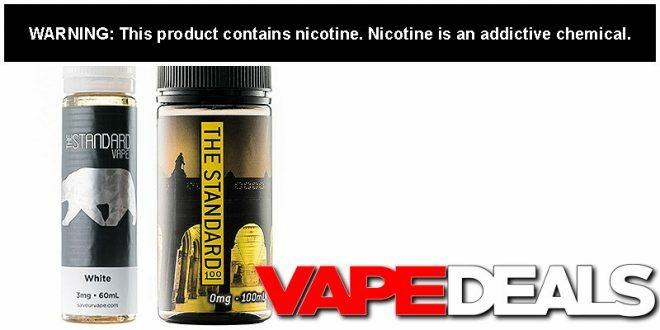 All the nicotine levels are still in stock (0mg, 3mg, 6mg), but that could change fast once word gets out. Stop by and claim a few bottles for yourself before it’s too late. VolcanoEcigs offers FREE shipping on orders over $29.99.